Are you planning on creating a website for your business? In this day and age, a strong online presence is crucial for one’s success. So, today we present to you 20 professional templates built with the latest version of WordPress. By getting one of those you’re basically getting a fully functional website that’s ready to go live right-out of the box. It is also the quickest and most cost-efficient way of building an online presence. 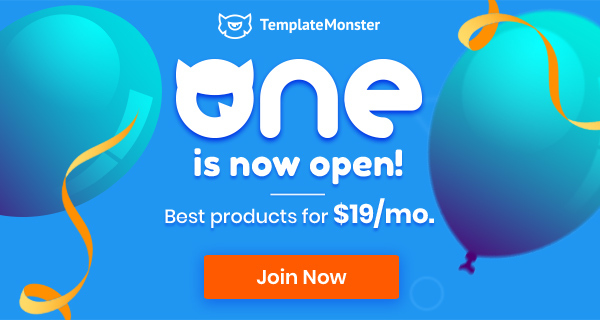 If you decide to purchase one of those templates you will also be granted 24/7 support. So, if you ever have any questions about your template or need help using it, don’t hesitate to contact the support team and they will help you out as soon as possible. WordPress is one of the most widely-used content management systems used on the Internet today. It is also a good place to start if you have no experience with setting up websites. The system’s functionality is amazing from the get-go and can be extended pretty much endlessly by installing custom plugins. Its user-friendly UI is quite simplistic and easy to understand even for beginners. Accessing even the most advanced of options is straightforward and never confusing. Oh, and did we mention that this awesome piece of software is free? This combination of factors has led to WordPress being used by one-fourth of websites on the entire Web. 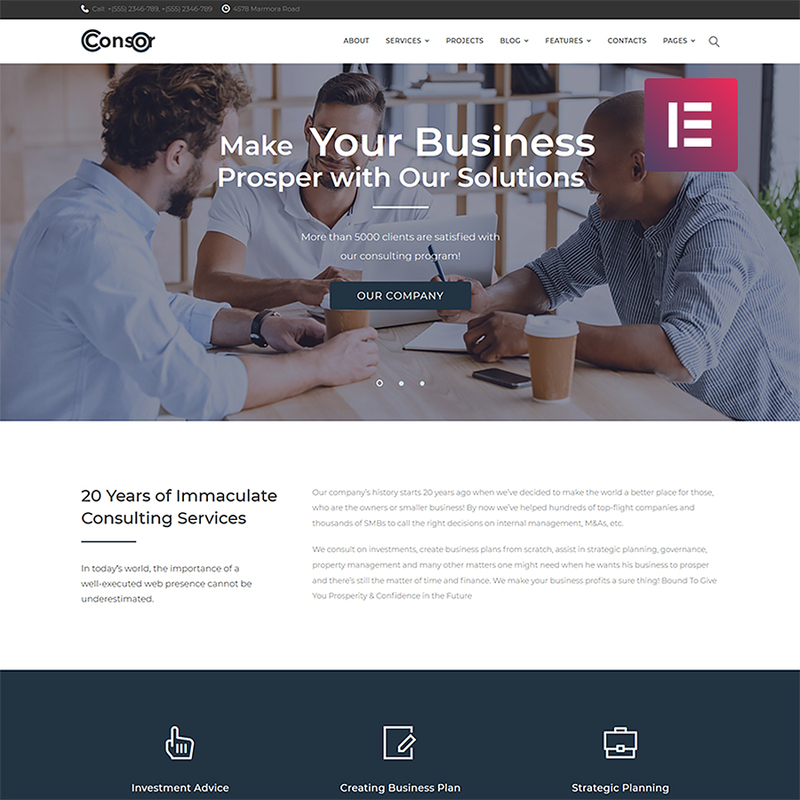 Below you will find a list of 20 premium WordPress consultancy themes. Some of them are oriented for a single branch of business while others are completely multipurpose. We know you clicked on this article for the templates and not walls of text, so why don’t you check them out? 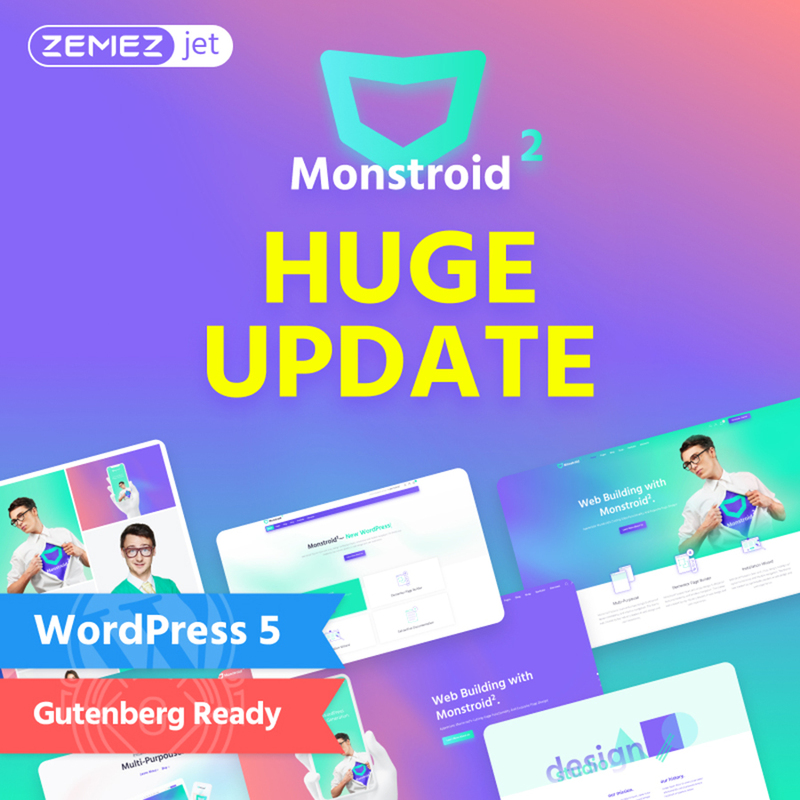 Monstroid2 is the ultimate multipurpose template perfectly suitable for basically any type of website. 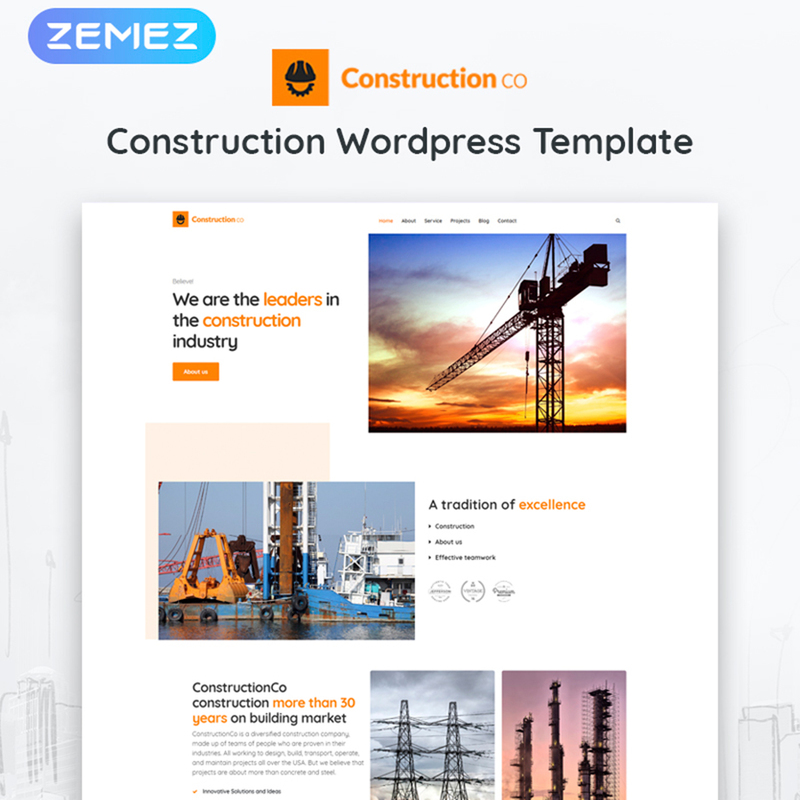 It comes with over 20 beautiful skins, 500+ Modular Constructor sections as well as Elementor page builder (supplied with the JetElements plugin pack), which gives you extreme customization abilities. Full WooCommerce integration also lets you set up an online store of your own with ease. 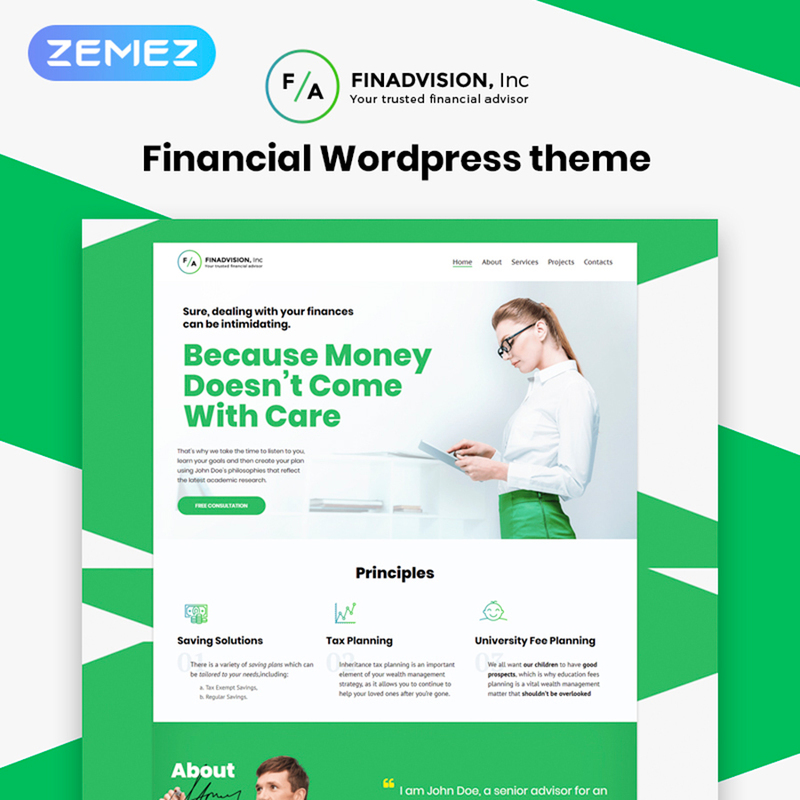 This eye-catching theme is perfect for websites that specialize in business consulting, investments and services of the like. It’s packed with countless pre-designed pages as well as the Elementor drag & drop page builder to fit all of your customization needs. It was also built with the mobile-first philosophy in mind, so your resource will look great on all known devices and screen resolutions. Globy’s design accommodates a lot of information placing it a manner that makes sense and will catch your visitor’s attention rather than confuse them. 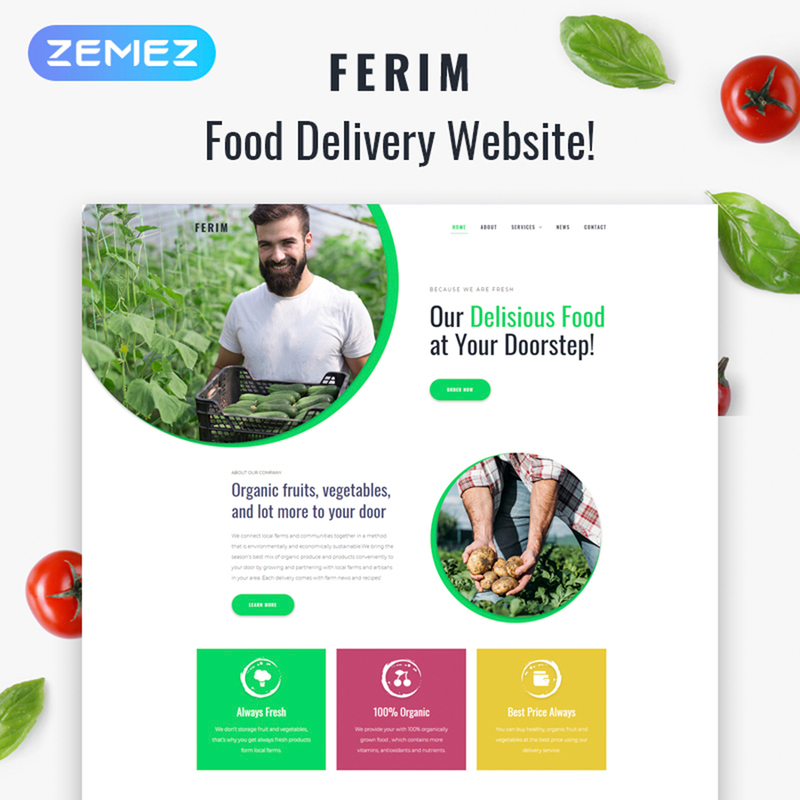 Its visual part is based on the contrast of white and blue along with awesome parallax effect so your website will be sure to leave a good impression on your potential customers. Thought out navigation allows for seamless browsing of your content and the theme’s responsive nature makes doing it on the go seamless. 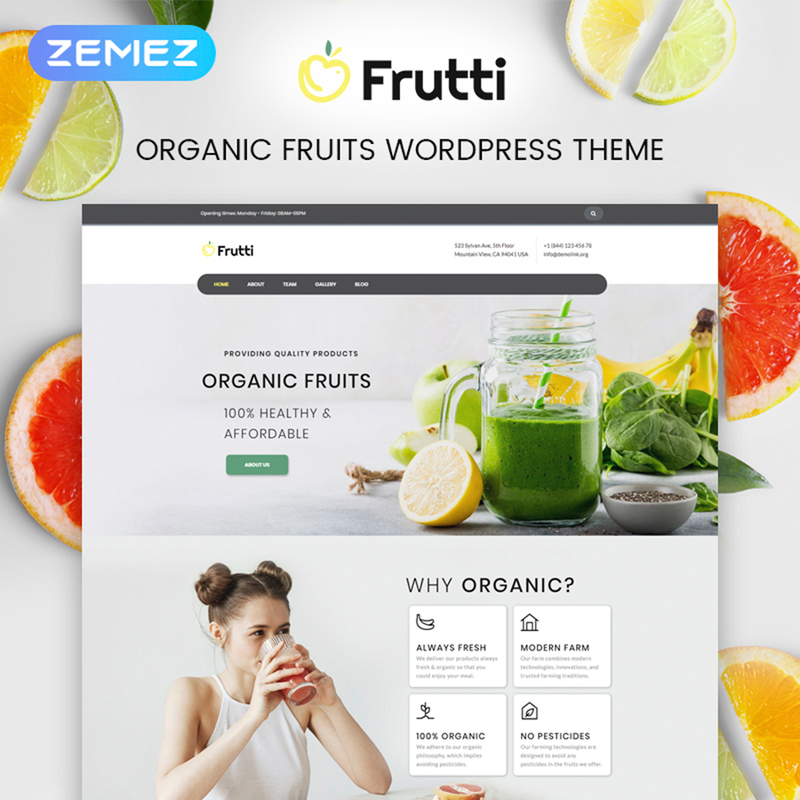 Tell people about your organic food services in the most attractive way with Frutti. JetMenu functionality lets you create beautiful menus of varying complexity and customize them without having to learn code. 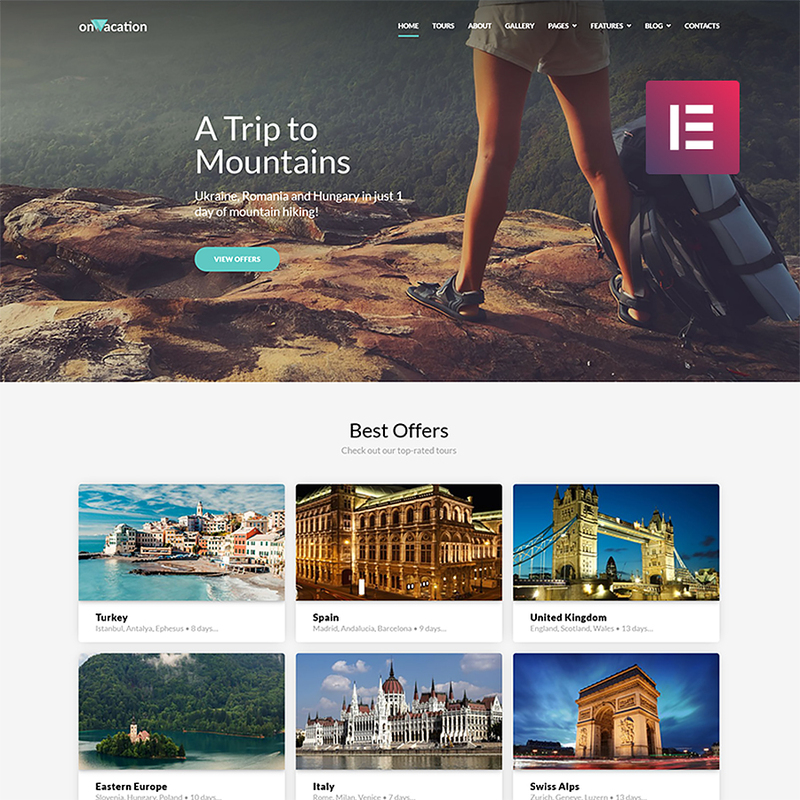 JetThemeCore provides you with a huge library of pre-made sections and ready-made pages, JetBlocks allows you to create headers, footers, and other additional elements while JetTricks helps you add eye-catching visual effects that will make your site look astonishing. 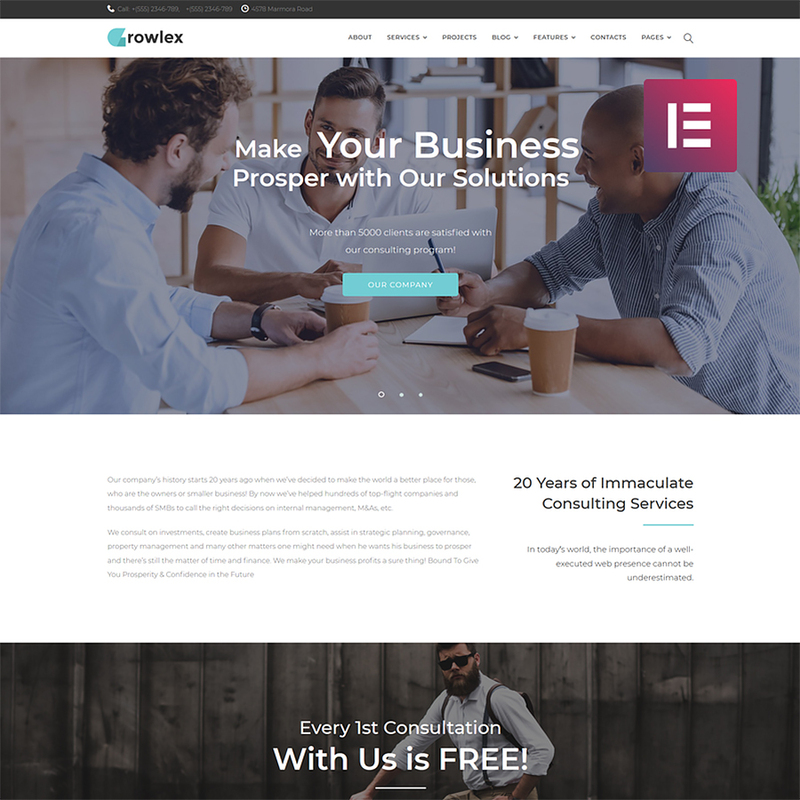 Glowlex is the wordpress theme you should go for if you’re looking to present your consulting agency in the most professional way possible. It supports the awesome Elementor page builder plugin with JetElements, allowing for quick, deep, and most importantly, easy customization. Display your services, team members and your clients’ testimonials in the most astonishing form using Cherry plugins. 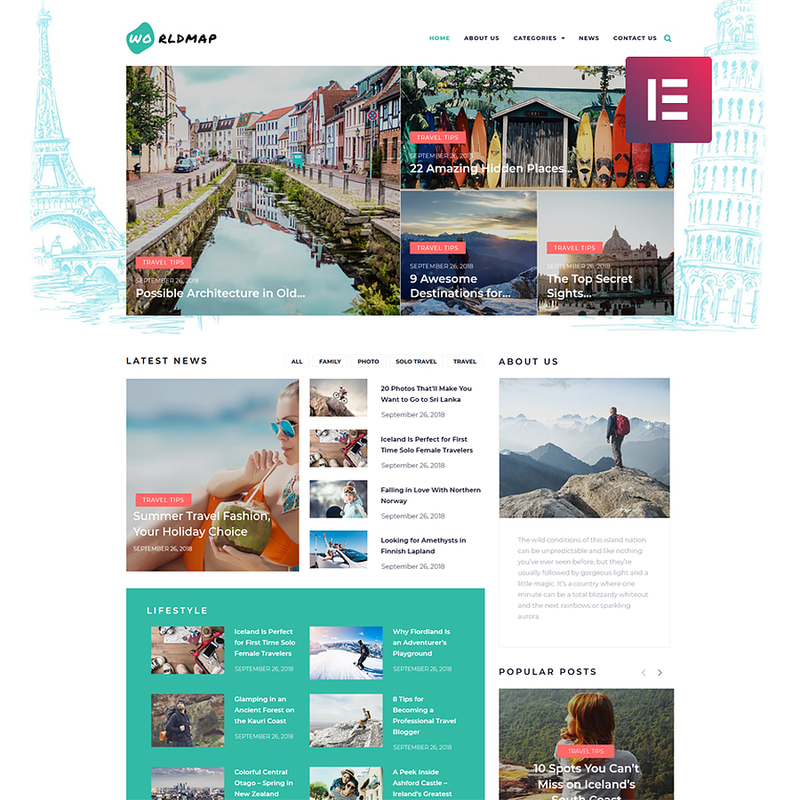 If you’re a true fan of traveling and have an idea to create your own blog about your adventures, this theme is the perfect fit for you. Its useful admin panel contains all the options you need to give your site an original appearance. Being fully responsive and cross-browser compatible, your resource will be accessible from any device, regardless of the hardware or software your visitors use. 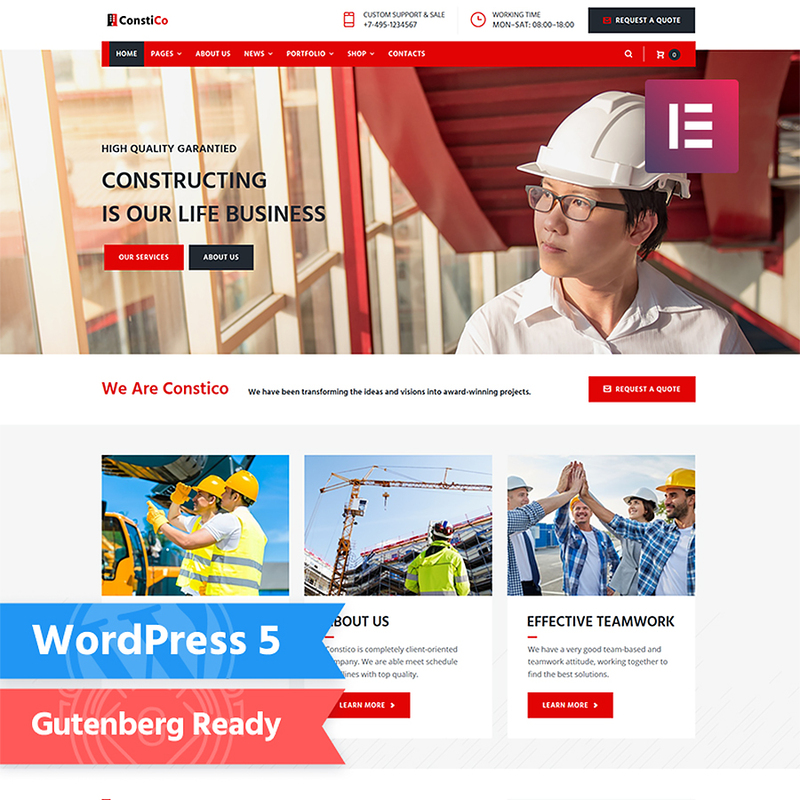 Crafted with attention to detail and functionality this theme contains a bundle of top-notch plugins which will enhance your construction website with wordpress and various features. With the help of Elementor page builder, you’ll be able to manage and customize your content in a simple drag & drop interface. You will also find a full package of WooCommerce plugins that will let you turn your site into a selling platform for your goods and services supplied with the theme. Soothery was designed by top industry leaders to help you present your SPA & Massage Salon business in the best possible light. It is truly SEO-friendly and comes with a fully responsive design, making sure that your website is easy to find and access from anywhere. A neat slider on the main page allows you to tell about your relaxing massages in a stylish and attractive manner that is sure to catch your visitors’ attention. 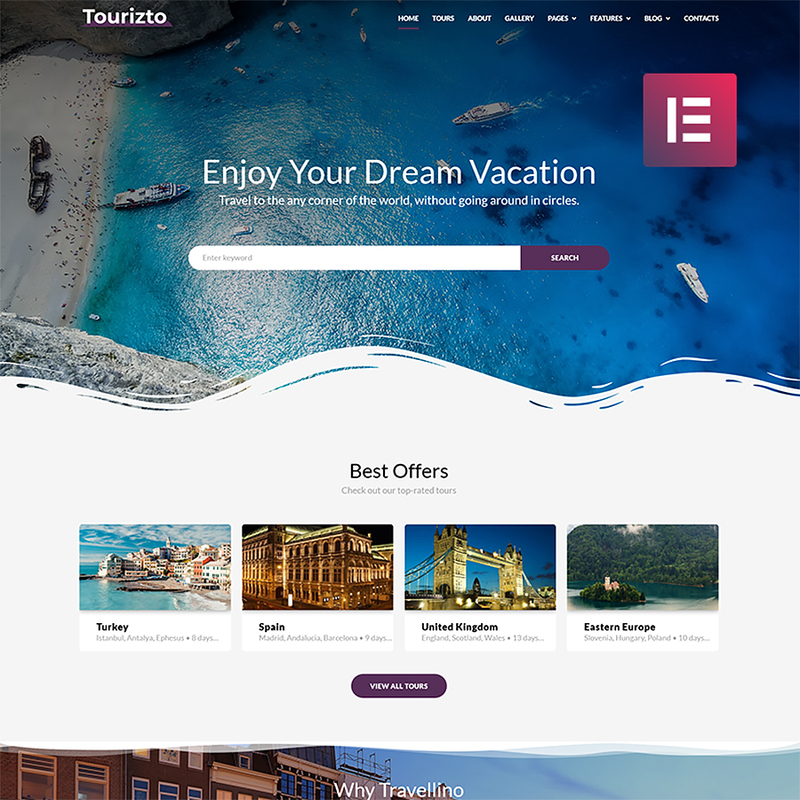 OnVacation is an awesome Travel Company theme with outstanding design and a great bulk of technical features. 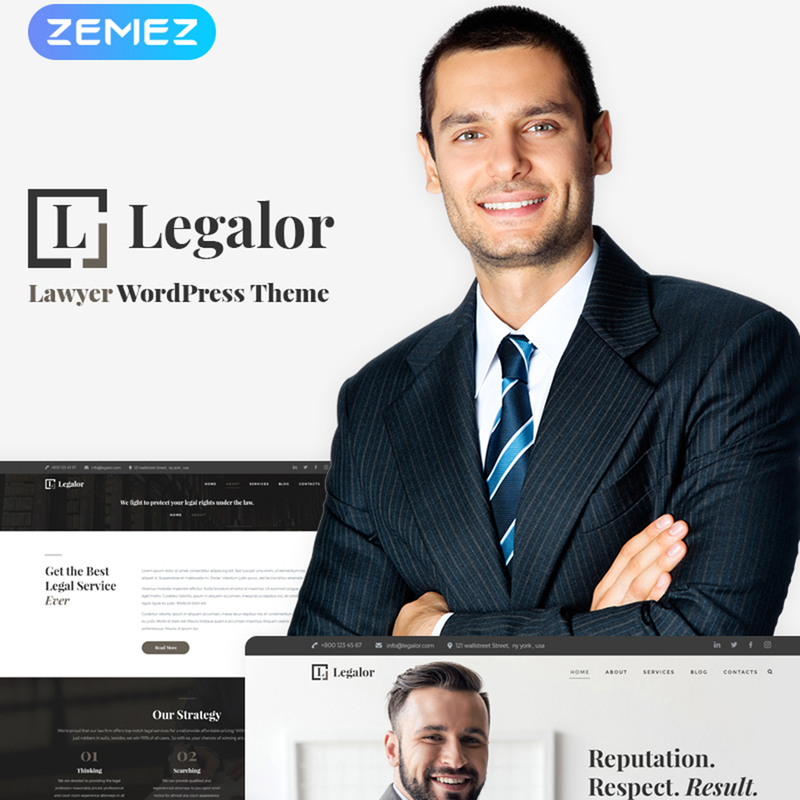 It was built with Elementor page builder which allows you to create stunning content and customizing it according to your needs without ever having to touch code. 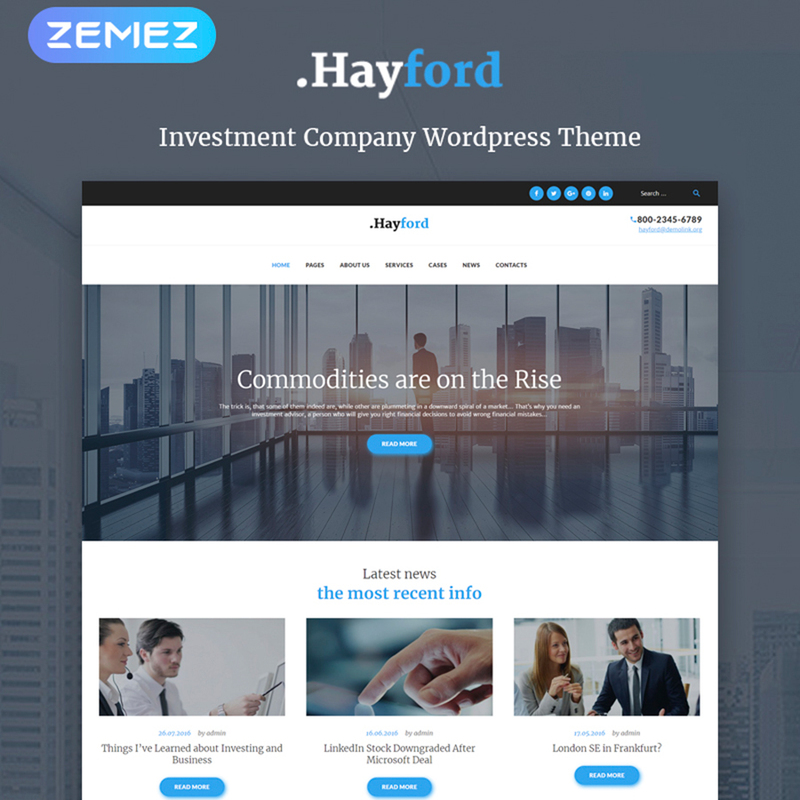 The theme also includes the JetElements plugin pack, flexible page layouts, a user-friendly admin panel, extra sets of widgets, a library of Google fonts, SEO-friendly code and much, much more. 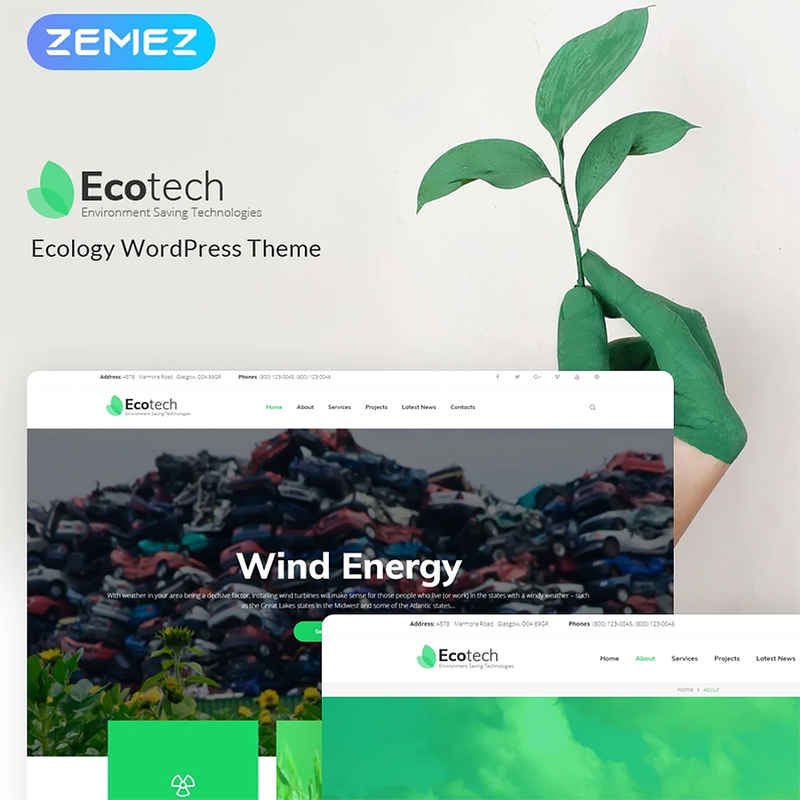 EcoTech is a perfect choice for companies who produce environment saving and environmentally friendly technologies, alternative energy solutions as well as other environmental organizations including non-profits and charities. It comes with integrated tools for showcasing your services and projects like Cherry Projects, WordPress Customizer and more. The template’s flexible nature allows it to be used for different business needs. 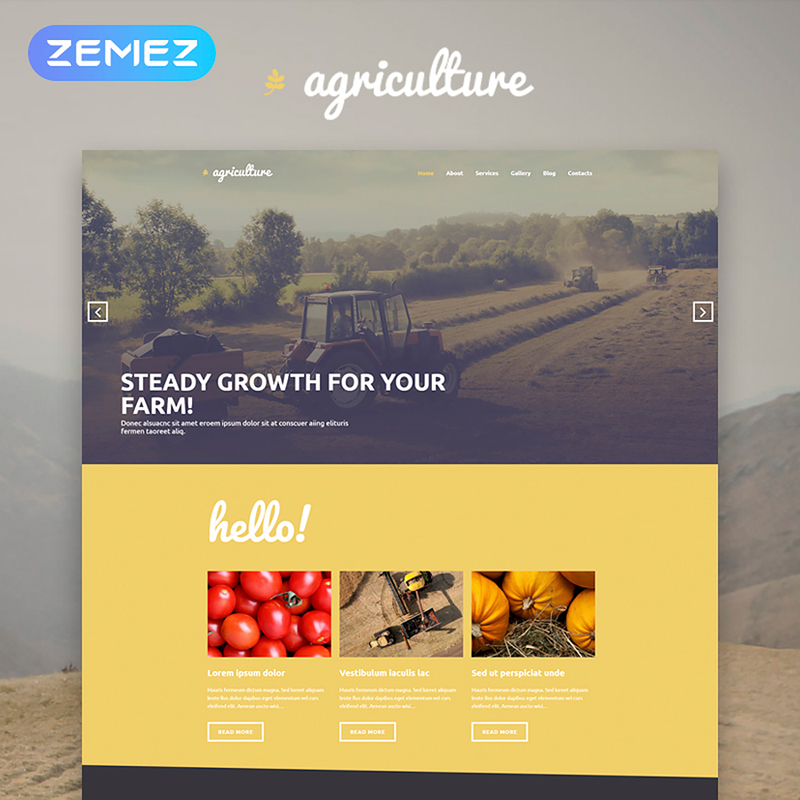 This template is perfect for showcasing your agricultural business in an attractive manner thanks to a stylish gallery. It also automatically detects the device used for viewing your site and adapts its layout to fit its screen size. A built-in slider displays beautiful slideshows that blend with the rest of this image-rich design ideally. 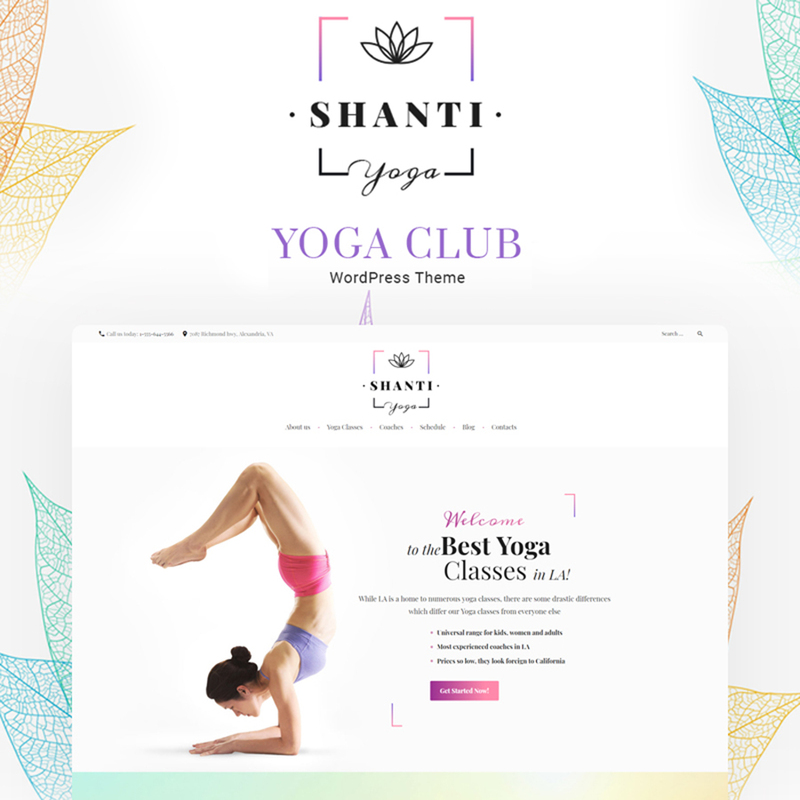 Shanti possesses a very special design that conveys calmness of mind and soul, perfect for yoga websites. Present the profiles of your yoga coaches, put testimonials of happy customers, run a blog telling people more about this type of activity and about your club. And don’t forget to place your contact information at the very top of the website so that your potential customers can reach you easily! WordMap is the perfect match for you if you’re looking to create a blog about your travels. Edit and customize it in a drag & drop interface with the help of Elementor page builder. Showcase your astonishing photos from places you’ve visited, write and customize blog posts, add social icons, elements, and other features to make your online presence as eye-catching as possible. 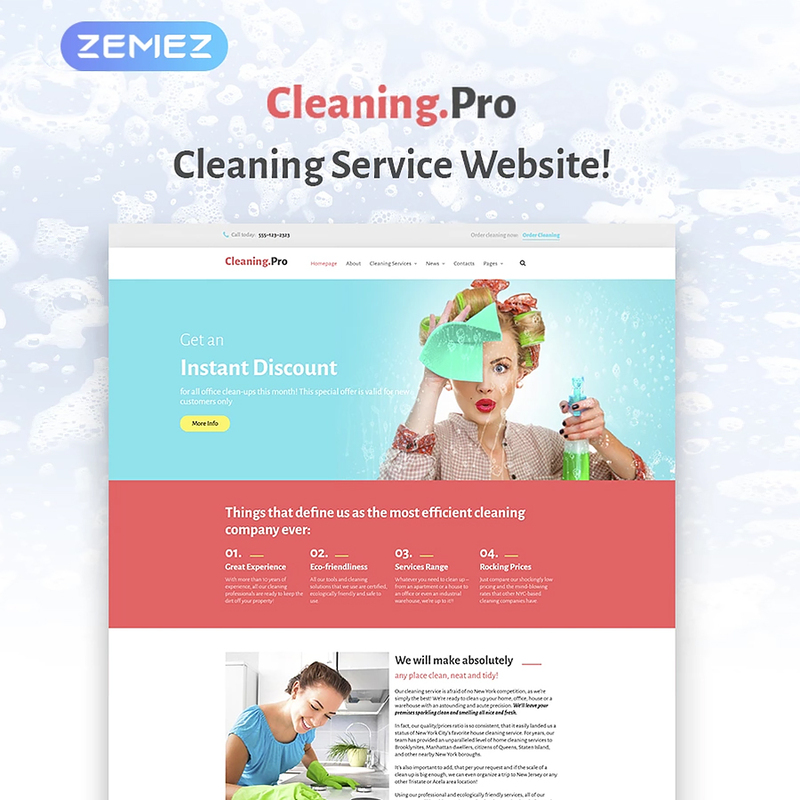 If you run a cleaning company or a maid service, this template is the right fit for you. Its clean design makes clever use of white space and the visual side is in complete harmony with your site’s content. Elementor page builder gives you complete control over your page’s looks via a very simplistic drag & drop interface. 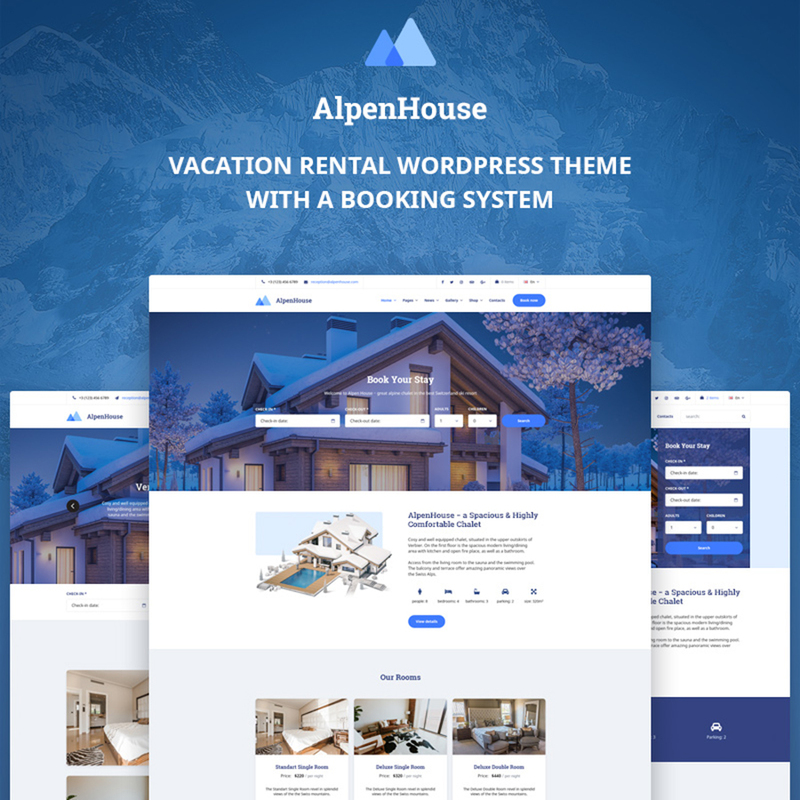 AlpenHouse is a vacation rental WordPress theme crafted to help you build a profitable website for your business. It really sets itself out of the pack with integrated off-the-shelf property management and WP booking software. The template sets you up with a feature-rich PMS and an accommodation reservation toolkit with booking forms, a real-time search availability form, a directory of rooms with photo galleries and amenities, flexible booking rules, seasonal pricing and rates, a great discount system, built-in international payment gateways, optional synchronization with OTAs, taxes and fees charges for proper accountability and more tools for managing your lodging. So, that’s that for today’s list. We hope you picked something out for your own business! If so, feel free to tell us which theme you liked the most and why! We would also love to hear about what kind of business you’re running! Be sure to leave all your feedback in the comments section below for us. And if nothing really caught your attention or fit your perfect website idea, make sure to visit our website for more amazing templates. You will definitely find something worth your time there. You can also use these beauty Shopify themes.